Sonic opened the door to find a yellow fox walking around the house. "Um....hey there. What's your name miss?" Sonic asked for clarification and just being friendly. "...I'm Sonic, Sonic the hedgehog. " Hello everyone!! I decided that it would a good idea to present my fan characters to you, on different sheets so I'll be doing one for now and later show it in the description . Mainly myself Rainbow the Wolf. Feel free to add you ocs to this topic as well. Thank you! Powers/Abilities: Be able to use rainbow that she had at birth to heal the worst of wounds. Rainbow has super speed similar to Sonic's. When Rainbow has enough power and energy, she can release to cause a powerful blast that destroys everything in its path (haha ironic eh?) called Rainboom. Personality: Rainbow is a soft-spoken person that is extremely shy. However gets out of her comfort zone to help anyone in need. She also has low self-esteem and doesn't like getting a whole lot of attention. She like that behind-the-scenes person. She is also extremely motherly to protect everyone she cans from any evil. She is very emotional due the fact of her past which effected her greatly. Because of this, Rainbow doesn't fully trust anyone except her sister and brother (Snowflake and Nightmare the wolves). Backstory: Rainbow the wolf was born in Midian to the tribe of the Midianite wolves, along with her triple siblings her oldest sibling Snowflake the Wolf and youngest sibling Nightmare the Wolf. At a very young age, the three cubs' father left their family for his secret girlfriend. Five years later, their mother died of pneumonia, so the three cubs were sent off to the orphanage; one because all their family were thieves or just plain evil A young couple comes in the orphanage to become foster parents came and took them in. They were very nice and kind at first. Rainbow had fully trusted them because of their hospitality and kindness. Rainbow trust for them extended to beyond the trust she had before with her biological parents. However, Snowflake and Nightmare were questioning the loyalty of their foster parents. And it came to be that the foster parents only wanted them for money, so when the three cubs found out about this they were devastated. Mostly Rainbow because she actually LOVE her new parents. The three wolves planned their escape and ran away from the lies and their past. 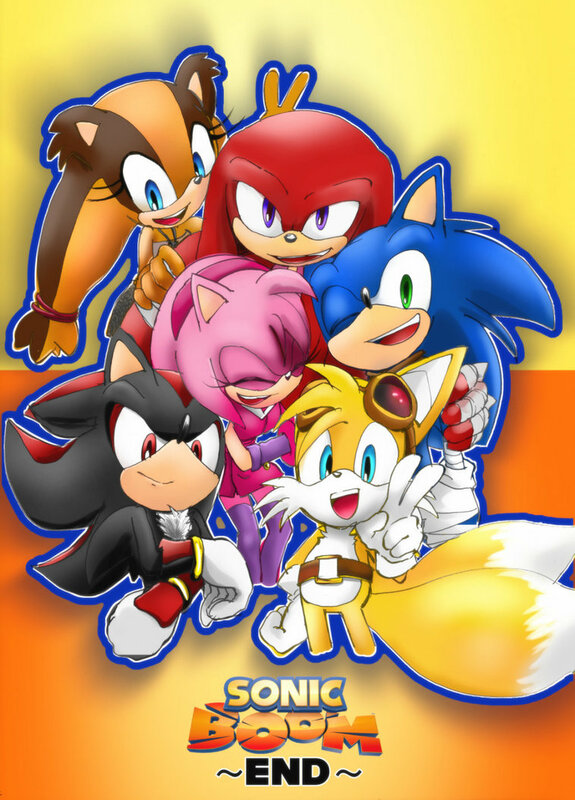 Now at the age of fourteen, Snowflake, Rainbow, and Nightmare built their own house in the city of Mobius and survived. Still trying to overcome their horrible past. *places the 4 batches of brownies onto the table and grabs everyone a seat. * You guys want some milk? Hey guys, the brownies are done!! We got plenty, like 4 batches. Come inside if you want some. Sonic also greeted Knuckles "Hey ya Knucklehead. Glad you came"
Oh *a little surprised* Well I'm glad you got a good amount of sleep. We're making brownies. You want to help?